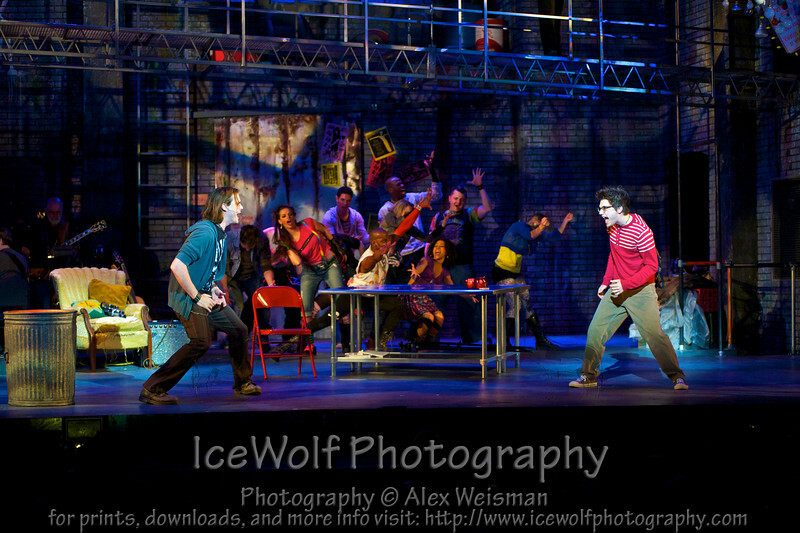 The revolutionary pop-rock opera that electrified a whole generation of theatergoers, Rent tells the story of seven friends in the AIDS-ravaged New York City of the 1990s. Three couples—Roger and Mimi, Tom and Angel, Maureen and Joanne—and their friend Mark try to support themselves and celebrate their lives in spite of the crises that confront them, from shifting romantic entanglements to preserving their artistic integrity to the life-and-death struggle with a disease that is threatening almost everyone they know. These photos are from the final dress/invited audience night.